1 Source: RateSpy.com. “Lowest rates” refers to the lowest rates for a given term (be it a 5-year fixed, 5-year variable, or whatever), relative to other rates for that term. People are getting these low frills mortgages to save maybe 10 basis points but paying a 3% penalty in some cases. 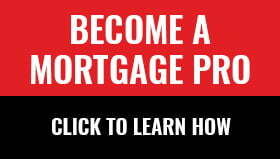 On a $200,000 variable mortgage that is a $6000 penalty instead of the usual $1000, all to pay $900 less interest? I don’t get that math. The rate difference is more like 15 basis points in some cases and if the differences between the two products are thoroughly and properly disclosed why can we not allow the consumer to decide for themselves. The consumer is the in the best position to decide whether they will be in the property for the next 5 years. Finally, if the mortgage broker convinces the client they should take the higher rate to be “safe” is the mortgage broker willing to rebate the difference between the two rates at the end of 5 years if the client never sold the house and did not refinance? I’m of the opinion that a mortgage broker should not be “convincing” the client of anything in particular, other than the assurance that the broker is offering the best advice possible; thereby allowing the client to make a logical decision in relation to their specific needs and circumstances. Brokers are paid to advise borrowers to the best of their ability. They won’t always be right but they should always be honest. So many people refinance early who never expected to. I think it’s a broker’s job to factor that into their recommendation. Penalizing an honest advisor for trying to protect their client is a slippery slope. Are you also going to make financial advisors rebate lost gains if they recommend fixed income investments for safety but stocks have higher returns? Of course not. How can you ‘factor in’ some future event you don’t know will happen? That’s about as sensible as trying to predict the direction and level of interest rates. Great question John. Financial decisions, whether they be investment, insurance or mortgage-related, are always made in a cloud of uncertainty. We can’t predict future life events with precision but one can rationally guesstimate probabilities for them. Doing so won’t be foolproof (it’s not meant to be). With mortgages, the intention is only to illustrate how different outcomes might impact your borrowing costs with different lenders, terms and products. Few mortgage advisors explicitly weight probabilities to estimate borrowing cost in this manner, but it is possible and it does yield better recommendations. There are two fair comments here, my position is just ask the client what their opinion whether or not they will need to break the mortgage in the next 5 years and let the client decide. Appraiser is right, we as advisors should avoid trying to “convince” the client of anything.